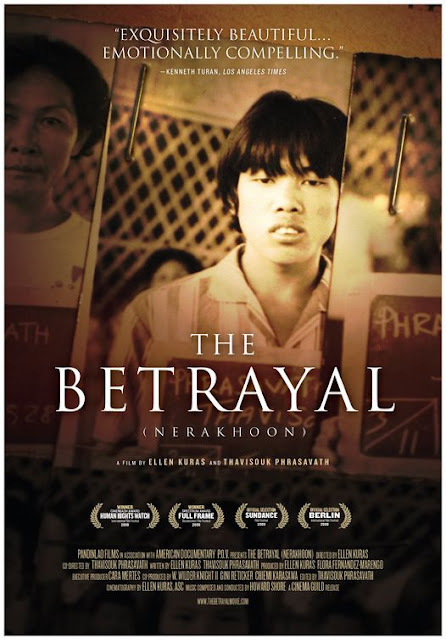 Shore-scored The Betrayal (Nerakhoon) was nominated for the 2008 Academy Award for Best Documentary Feature this past week. Congratulations to all involved! The score album is still scheduled for release on Howe Records, though no release date has yet been announced. 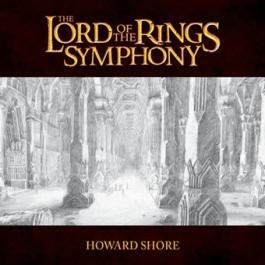 Although Howard Shore was not nominated in the Best Score category this year, Nerakhoon's nod is a testament to the hard work and artistry contributed by everyone on this very personal project. 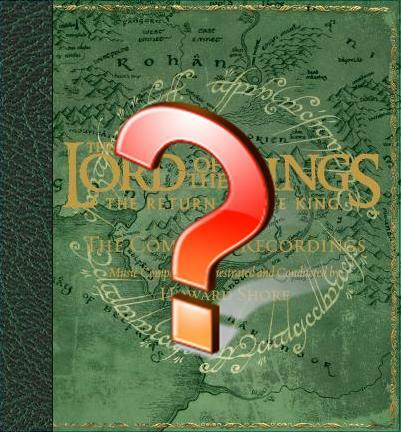 If you've been watching the blog consistently, you'll surely have noted that The Lord of the Rings: The Complete Recordings have faded in and out of availability several times in the past weeks. As of this post, I have no real explanation other than the demand simply seems to be surpassing the supply. As always, these releases have not been "discontinued" as Amazon would have you believe. I'll continue to do my best to keep everyone on top of the situation. Please don't give your business to bootleggers and scalpers... and as the author of the liners, I can't wholeheartedly get behind the MP3 albums, but you do what you need to do. As of right now, FOTR: CR is the sole CR set available on Amazon. 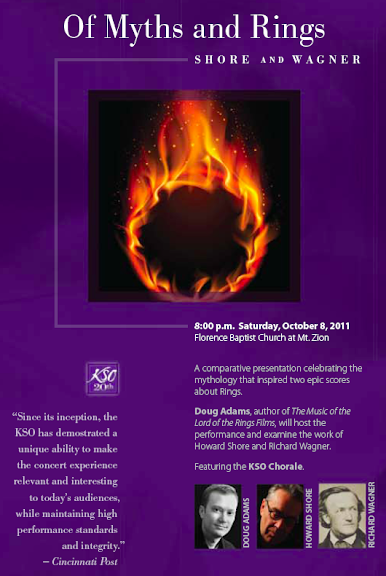 Cinewerx Film Production, LLC is stating that Howard Shore will be scoring their upcoming feature The Spider. 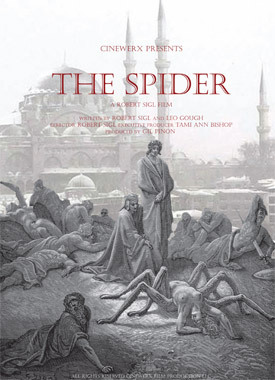 The Spider should represent Shore's first straight ahead horror film since 1995's Seven, although his opera this past summer certainly visited the same territory. Though fans of his LOTR work may find such dark subject matter off-putting, it is fertile ground for the sort of macabre experimentalism with which Shore began his career. And for those keeping score, this means Shore will soon have The Fly (film), The Fly (opera), Spider and The Spider on his oeuvre. With the moths of The Silence of the Lambs and Shelob in his past, and the spiders of The Hobbit on the horizon, Shore must sure qualify for some sort of entomological honor by now! Happily, everything is still cooking right along on the project I'm actually supposed to be covering on this blog! I'm hoping to have a very exciting book announcement ready around the turn of the month. And, of course, as February rolls around, we'll be introducing the next Music of LOTR Films magnet, and that means that our THE magnet will be phased out until this coming autumn. Don't be stuck without THE, order today! Looks like I'll also be heading out to NY near the end of February in order to complete last November's filming. So I guess I'll have to begin remembering what I wore last time. And speaking of the busy winter/spring schedule--it's entirely possible that I may have to adjust a couple of upcoming personal appearances in order to make everything come together. I'm doing my very best to avoid and unpleasant changes, but at some point, the clock can only provide so many hours. I'll update as events warrant.